Printer's mark from Sir Walter Raleigh's The History of the World, 1614. 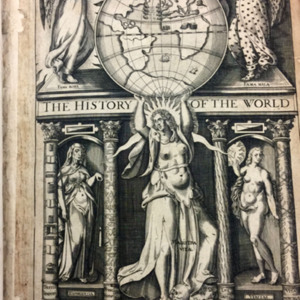 Frontispiece from Sir Walter Raleigh's The History of the World, 1614. 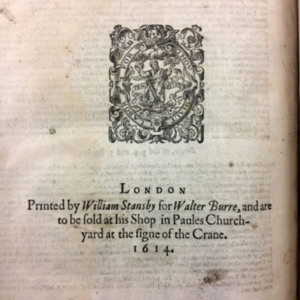 Frontispiece of the first edition of Sir Walter Raleigh's The History of the World. Woodcut illustration by Reginold Elstrack. Folio sized image on rag-based paper.